I am thrilled. 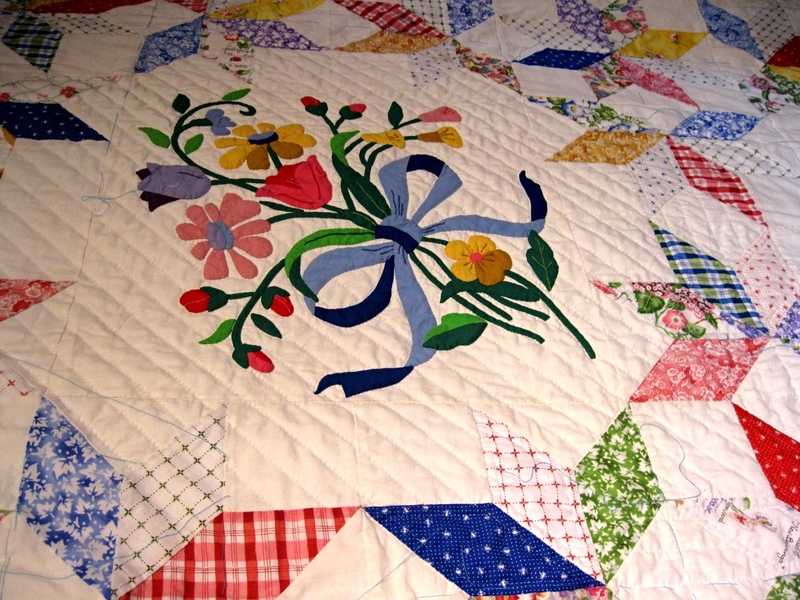 I just learned that my quilt has been juried in to the Spring show in Paducah. I know it will not win anything but it is exciting nonetheless. Squeee! 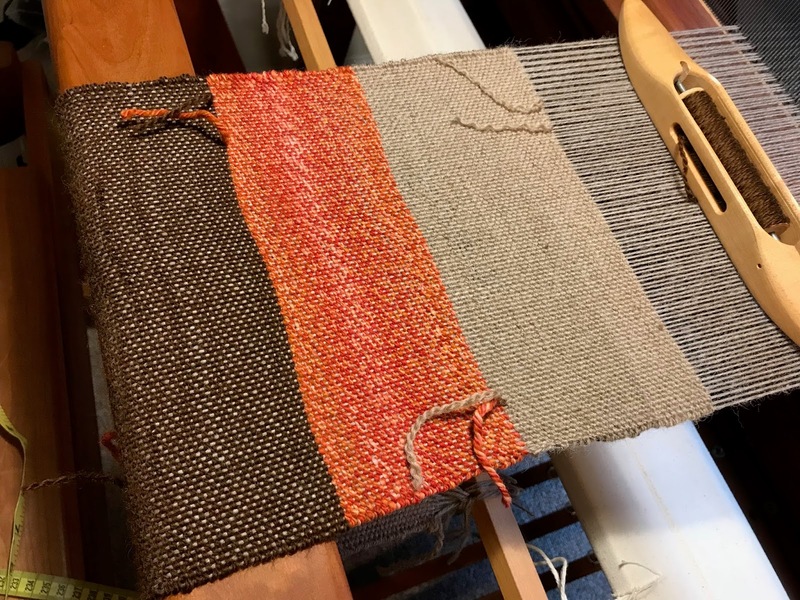 High Fiber—Back in Warp Drive. 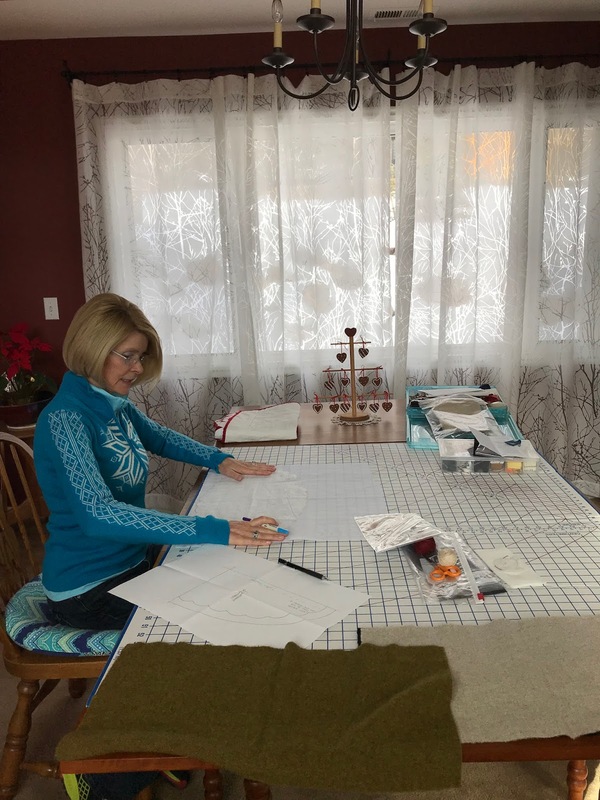 Those winter blowy snowy days when you just want to hunker down and not put your nose out the door a good time to get a few thing sewn up in my sewing studio. This is what I decided to do with the baby quilt - mostly because of fabric availability and crunch time. I appreciated all who commented and gave suggestions. I made notes for next time. I think it would have looked nice with a dark border as well. I was using up scraps and made do with what I had. Well these snowy days I have been able to finish putting together blocks of an UFO that have been waiting for over ten years, so top already for LAQ. Here is the Hunter's star layout, before it was completely put together. I like the balance.